This 265-acre southern Arizona lake holds healthy populations of largemouth bass, channel and flathead catfish, crappie, and sunfish. Rainbow trout are stocked seasonally from November through March and offer southern Arizona anglers a chance to experience fishing for these beautiful, delicious fish in a unique southern Arizona environment. Fishing opportunities abound from both shore and boat, and anglers typically do fairly well in their pursuit of whichever species they are targeting. We have outlined some tips below to help you maximize your time on the lake and to reduce the learning curve while fishing at Patagonia Lake State Park. Typically, the spring and summer months are the best times of year to fish for largemouth bass. During spring, the bass create beds in the shallow sections of the lake to breed. During this spawn, bass are easily agitated to strike soft plastic baits that have been strategically placed within their bed. Because the bass are so visible when guarding their beds, sight fishing is a common technique this time of year. Either cruise along the shore under power of a trolling motor, or take a stroll around the lake while peering into the water, looking for unsuspecting bass. The use of polarized sunglasses greatly increases your chance of finding fish through the glare of the lake. Catch and release is recommended during the spawn so the fish can return to the nest and protect their eggs. If enough anglers practice catch and release during the spawn, the bass population at Patagonia will continue to grow and thrive for years to come. As summer begins to heat up the southern Arizona desert, the Patagonia Lake largemouth remain active early and late in the day, and even at night. Try using white spinnerbaits and crankbaits of varying colors during the day, then switch to dark plastics at night. A slow retrieve seems to work best after the sun has gone down, but this technique has produced some outsized Patagonia Lake bass over the years. During winter months, trout are stocked in Patagonia Lake, and big bass go on the prowl for a tasty treat! Large swimbaits that resemble rainbow trout fished strategically around cover will usually turn up a big fish or two. Crankbaits fished deep, and spoons jigged beneath a boat can also pick up some winter fish under the right conditions. Both channel and flathe ad catfish swim the depths of Patagonia Lake, and anglers can just as easily access them from shore as they can a boat. The popularity of catfish fishing is partly because of the laid-back style used to catch them, although their willingness to bite a variety of baits helps keep an angler's interest. Quantity and quality of both catfish species can be found at Patagonia Lake. On March 24, 2014, Rich Stachel of Tucson caught a 56.2 lbs. 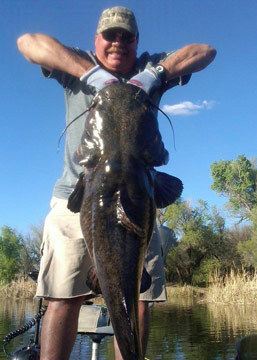 Flathead Catfish at Patagonia Lake (see photo). Patagonia Lake has given up several other behemoth specimens over the years, although Stachel’s giant is likely the largest flathead caught ever here. Because catfish spend a great majority of their lives on or near the bottom of the lake, it makes sense that the bait you offer them is located there too. A slip sinker set-up (like this one) give anglers an edge by allowing slight “nibbles” to be felt more readily, which means a well timed hook set. You’ll usually know when a catfish has taken the bait, so don’t forget to hold on for the ride! Typical catfish baits like chicken liver, worms, hot dogs, and anchovies work well at Patagonia Lake. Manufactured "stink baits" also work well here. Although catfish can be caught at any hour of the day, they are most readily caught at dawn, dusk, and at night. Anglers who take advantage of these prime fishing times tyically catch more and larger catfish. 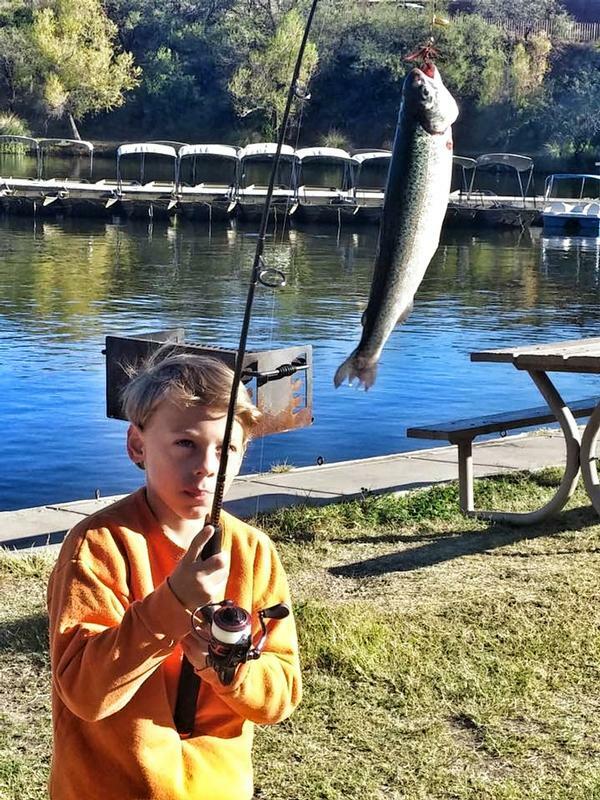 Rainbow trout are stocked seasonally at Patagonia Lake State Park and, at times, the fishing for them is absolutely amazing! The Arizona Game and Fish Department grows and stocks rainbows specifically designed to provide high quality table fare. These beauties can be found in Patagonia Lake from fall through spring, and they readily take a variety of baits and lures. 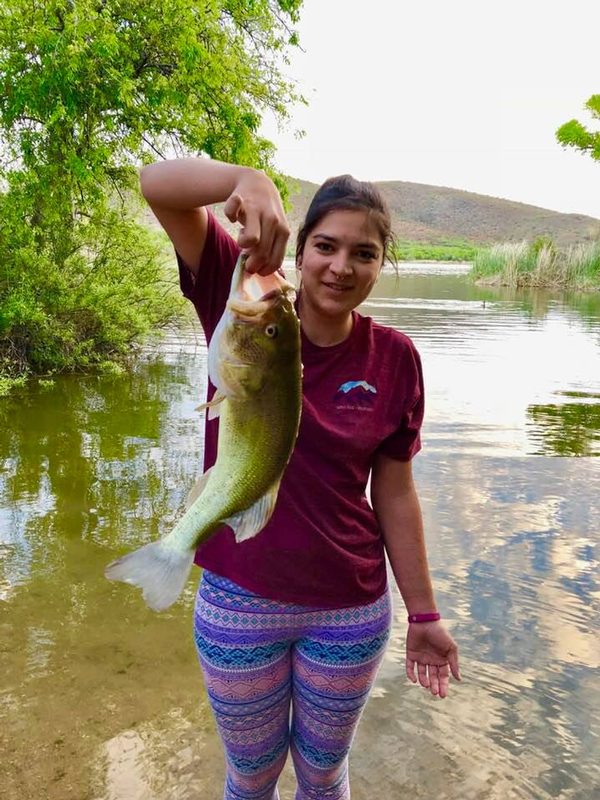 The trout population at Patagonia Lake is managed as a “put and take” fishery, and these fish are healthy, active, and ready to bite. Below we will outline two effective trout fishing methods that will likely increase your catch rate while visiting this beautiful corner of Arizona. Lures have been fooling trout into biting for centuries. They mimic natural foods that trout may encounter while in the lake, and come in a variety of shapes, styles, and sizes. A time-tested lure type is the in-line spinner. Examples of these are Rooster Tails, Mepps, and Panther Martin, although many companies produce a similar product. Purchase several different colors before your trip to ensure you have brought what the trout prefer on any given day. Brown, black, white, and yellow are typically good bets! Fish each color at varying depths and speeds until you find the combination the Patagonia Lake trout prefer. 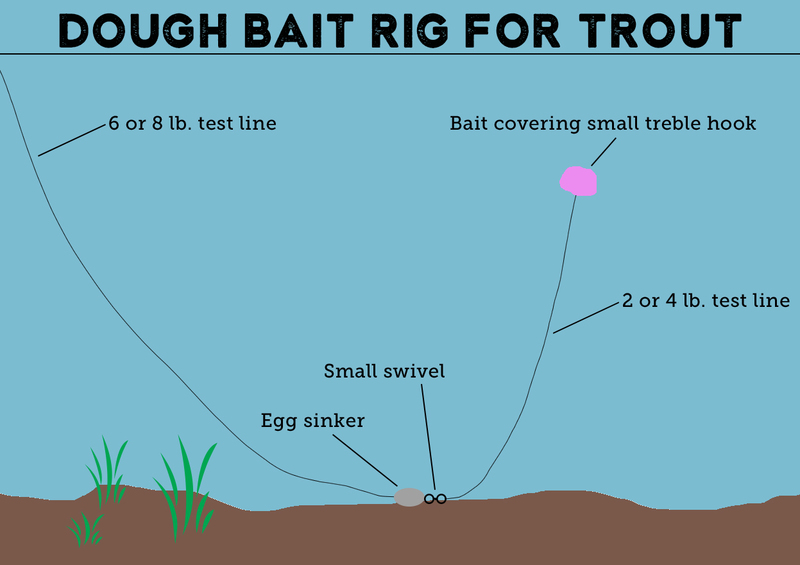 Baits should be fished under a bobber, and just like lures, at varying depths until you figure out at which depth the trout are currently living. Popular bait options include salmon eggs, worms, corn. Dough baits like Berkeley's Power Bait are rigged a little differently than other bait options. Check this link to learn how to effectively set yourself up dor success. Patience is key with bait fishing, although the beautiful scenery at Patagonia Lake helps anglers sit still while they wait for the next bite. The actual date of trout stocking varies throughout the week of the dates listed below. Trout are provided by the Arizona Game and Fish Department. Take a look at other great fishing spots throughout the state on our Fishing in Arizona page. A valid Arizona fishing license is required for anglers 10 years and older. Licensing information is available online at Arizona Game & Fish, or purchase a fishing license at the park store.